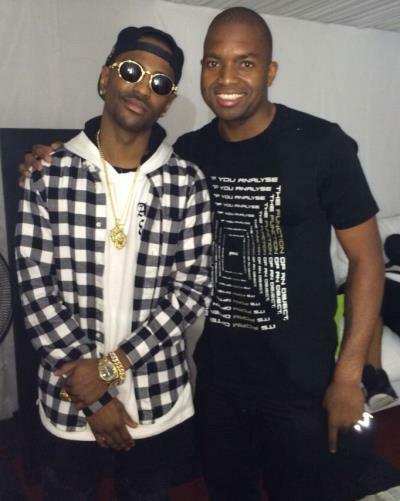 Not even the Joburg rain could stop rapper Big Sean from entertaining his South African fans over the weekend. American rapper Big Sean carried on with his performance over the weekend despite heavy rain pouring through the tent onto the stage where he performed. Big Sean took to Instagram to thank his fans. "It was so much rain that it fell through the tent on the stage. The machines were breaking n all that. That ain't stop nothing... This show was wild as hell! Thanks for knowing every word to every single song n love to the 300k people who tuned in on the live stream and the 10k people who were there n stood in the rain. #GOOD #FFOE #SouthAfrica" The rapper, who is engaged to Glee star Naya Rivera, was headlining for the AXEcess Jozi event in Newtown, Johannesburg. Big Sean was accompanied by his mother, Myra, on his first trip to South Africa. South Africa thank you, the love was overwhelming! Other international rappers set to perform in SA this year are Eminem and Kendrick Lamar.